The former England boss will be looking over his shoulder with the club just above the relegation zone. Palace have only won three games this season, and currently sit 15th with 12-points. Injuries have not helped the cause with striker Christian Benteke out of action for a prolonged period. 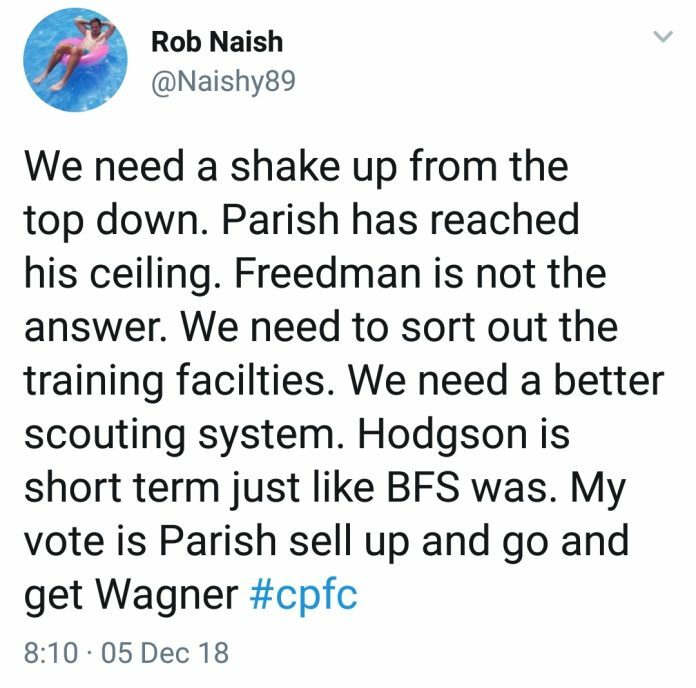 The Eagles have also suffered due to a number of players missing out short-term, leaving them with a lack continuity within the team. 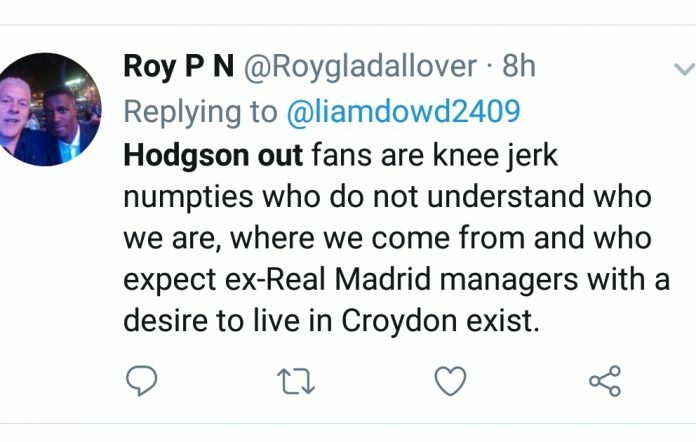 Some Palace fans vented their anger on social media, calling for a change in management. 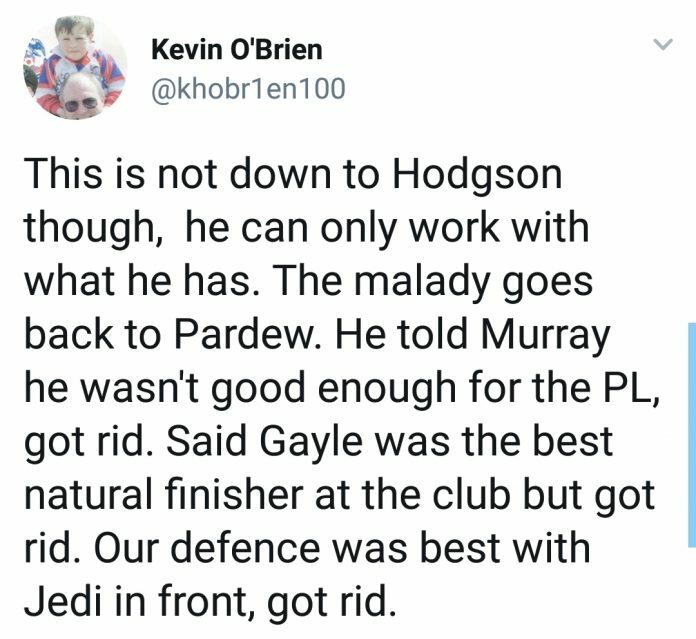 Others feel the buck doesn’t stop with Hodgson, questioning palace chairman, Steve Parish, and the overall running of the club, both past and present. 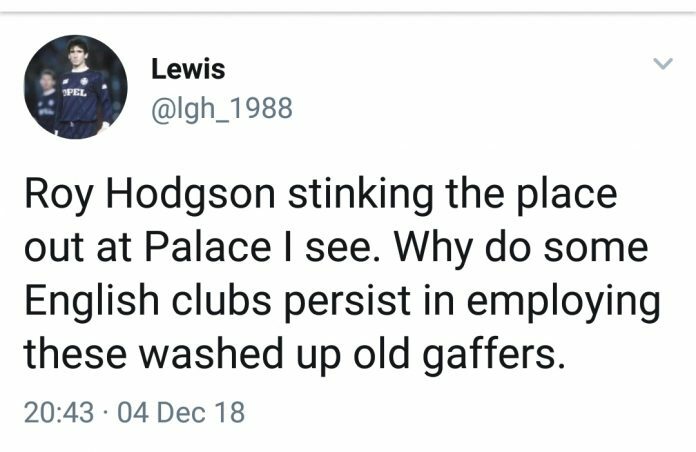 Palace now face the hectic Christmas period. 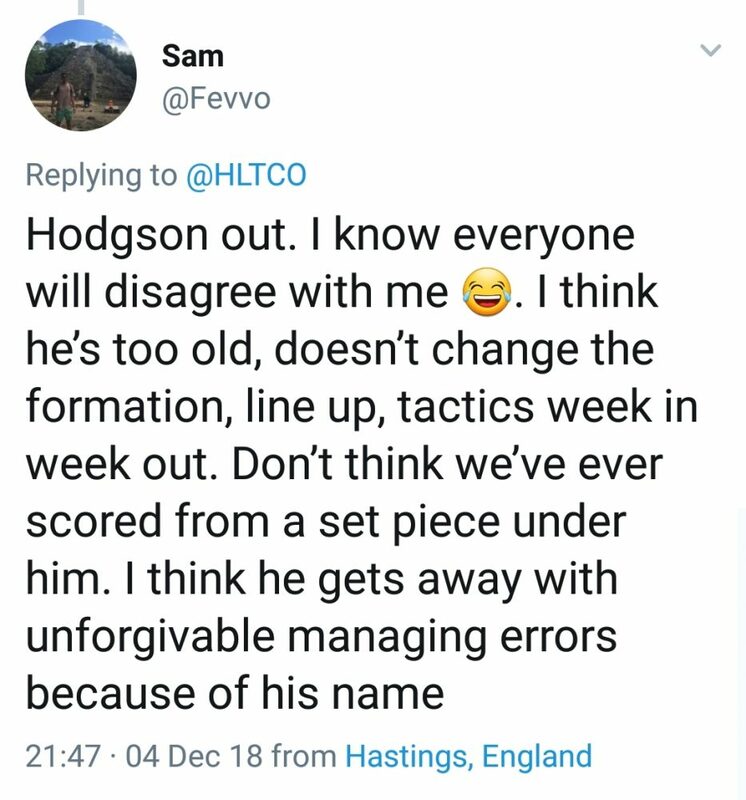 Results must improve if Hodgson is going to avoid the sack before the end of the year. Next up The Eagles entertain West Ham on Saturday. December is not kind to them though, as they also face Manchester City and Chelsea. Fans will expect a decent number of points, or the numbers of those opposing him will increase rapidly. Skybet have reduced the odds of Hodgson leaving Selhurst Park to 9/1. Those odds will certainly shorten if The Eagles don’t pull away from the relegation zone.